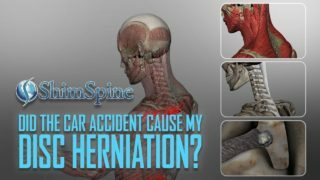 So, your surgeon says you need spine surgery. And, it is a surgery that will require hardware, including plates and screws. Go to the other blog pages about why the surgery. Let’s talk about Why Plates and Screws? For the most part, plates and screws are used to hold your vertebra still, or in a certain position. But that is not the end of the story. 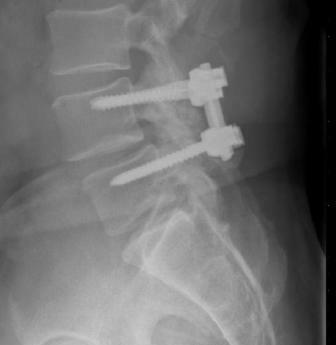 Usually (but not always), plates and screws are used to help the spine mend together into an optimal position. The surgeon will then let the natural healing process occur, and the vertebra will heal or mend together, ideally in that position. That healing process of mending two or more bones together is called a fusion. In simple terms, you are making two or more bones into one bone. The fusion process is a surgeon’s effort into tricking your body into thinking the bones are broken, and therefore must be mended together. An explanation of the bodies ability to mend broken bones is necessary to understand the fusion process. When a bone breaks, the natural bony structures are damaged or disrupted. Small blood vessels course through the bone, and are therefore disrupted. It causes chemicals and various hormones to be released into the tissues. This causes an irritation, or an inflammation. There is increased blood flow to the area of irritation, and the building blocks to repair damaged tissue also arrives via this increased blood flow. The body has the ability to send “trash collectors” to get rid of the debris, and damaged tissue. The body also sends “repairmen” that re-establish the scaffolding to the broken bone channels and blood vessels. Then, additional “repairmen” deliver bony substances called osteoid and lay it down on the scaffold. 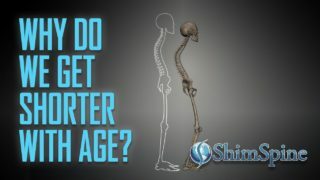 Over time, the bony substance remodels, hardens and thickens to the old strength. In the case of the fusion, the surgeon will create an environment similar to a broken bone. The bones to be fused are roughed up, to allow some bleeding. Often times, extra cells that act as the “repairmen” are harvested from the hips to act as bone graft. And, because the bones are held into a certain position by the plates and screws, it will result in the bone healing in the optimal position for that section of the spine. The science to bone healing is still evolving, but still, we have not been able to completely achieve fusion in certain situations ( smokers, diabetics, renal failure, osteoporosis, are associated with poor fusion rates). In terms of plates and screws, these are still mechanical, metal devices, and over time they will fail. The best situation is when the bone has successfully mended and fused, and the plates and screws are no longer necessary. When the metal breaks (and many times they will), ideally it has served its function, and will no longer be needed. In rare instances, the plates and screws may begin to back out, causing problems and will need to be removed. In even rarer instances, patients may have an unknown metal allergy and it will cause a reaction that will cause increased inflammation. If there are any concerns for metal allergies ( you cannot wear jewelry, rings, etc), there are metal allergy tests that may need to be done if you are anticipating us of plates and screws. Modern plates and screw constructs in the spine are made of titanium, as it has less image scattering properties if an MRI is necessary in the future. And, at least in the Spine, you can still have an MRI, without the metal moving secondary to the magnetic field ( not so for implants in the eyes, ears, brain, and blood vessels). Plates and screws sound scary, but in the proper situation, can be very helpful in maintaining the desired position of the bone after surgery. Not necessarily. If the fusion is solid and there are no symptoms, it should be fine. If the bones did not fuse, it may have to be redone. Ask your surgeon if it’s necessary. If/When the plates and screws break,due to the success in mending the bone, are they surgically removed? Also what kind of physical activity is apt to cause breakage if any? I am looking forward to bike riding again and spin class as well as strength training just to get back into shape and keep my body physically healthy. Is this something I can look forward to without ruining the results of my surgery? Hi Deb, Often if the plates and screws break, the bones are not fused under them. An x-ray will tell you for sure. Generally hardware is not removed unless it is causing a problem. Once bones are fused, you should be able to do what you want but definitely check with your surgeon first. We recommend avoiding “pounding activities” such as running.